Spring is just around the corner. We are looking forward to spending more time outdoors, hearing the birds singing, and watching the spring flowers pop up. When it comes to spring crafts for kids, there are plenty of bunnies and sheep. 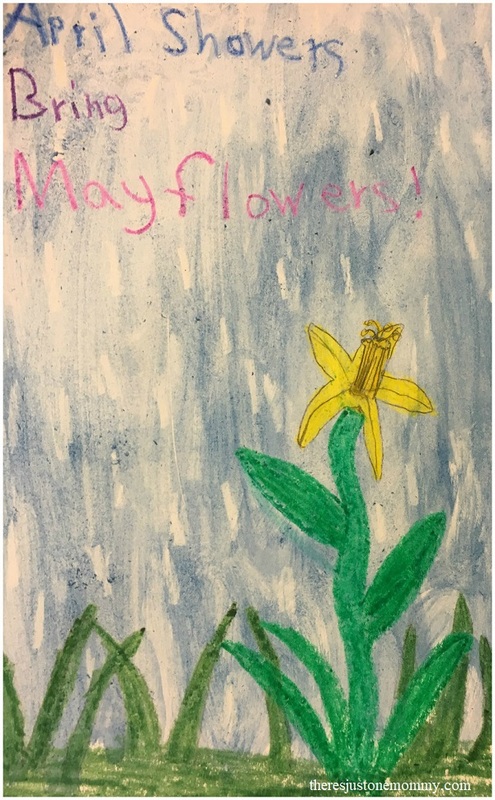 This crayon resist painting is a fun April showers craft to celebrate those rain showers that ultimately bring such beautiful flowers. 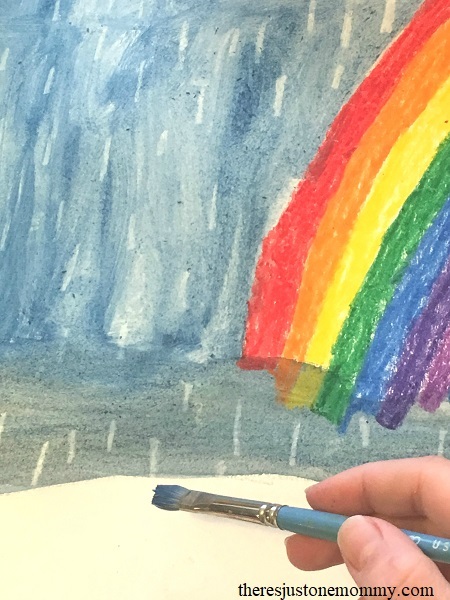 To start your April showers craft, use the crayons to draw a spring-related picture on your paper. 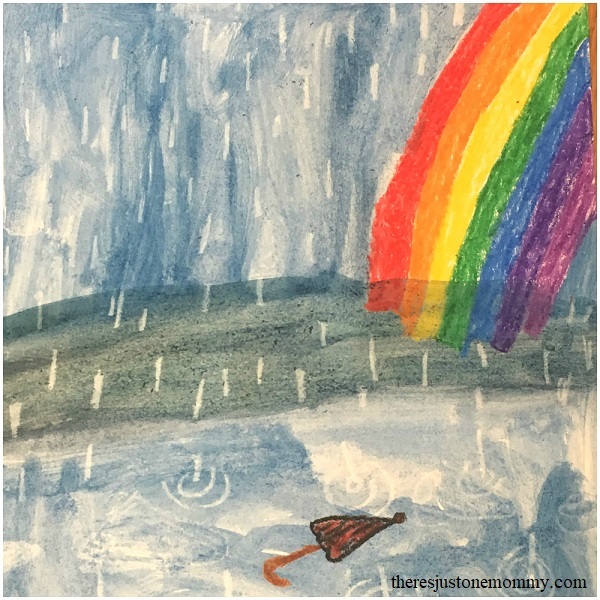 We drew brightly colored rainbows and umbrellas. A cute yellow duck or spring flowers would also be fun to draw on a spring rain painting. Make sure as you draw your picture that you color in all the white areas with a firm and even pressure. This will ensure that the paint doesn’t cover up the image later. 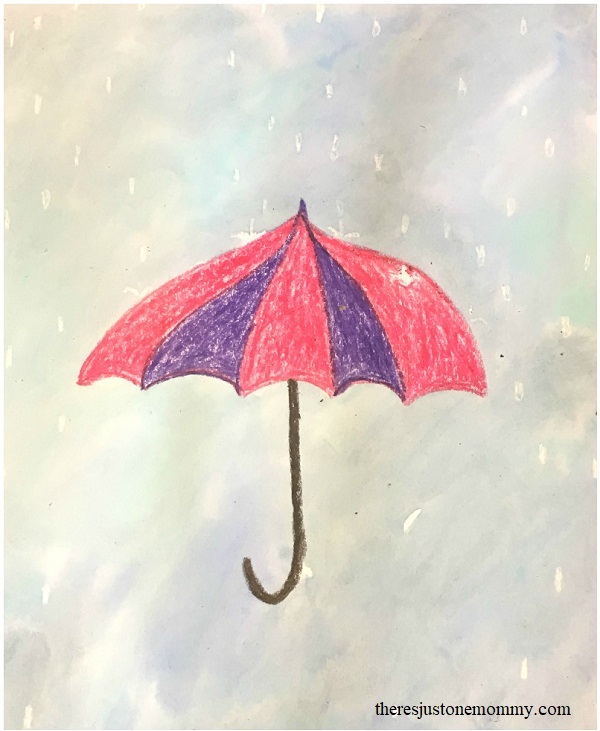 Once you have your picture finished, use the white crayon to cover the paper with raindrops. 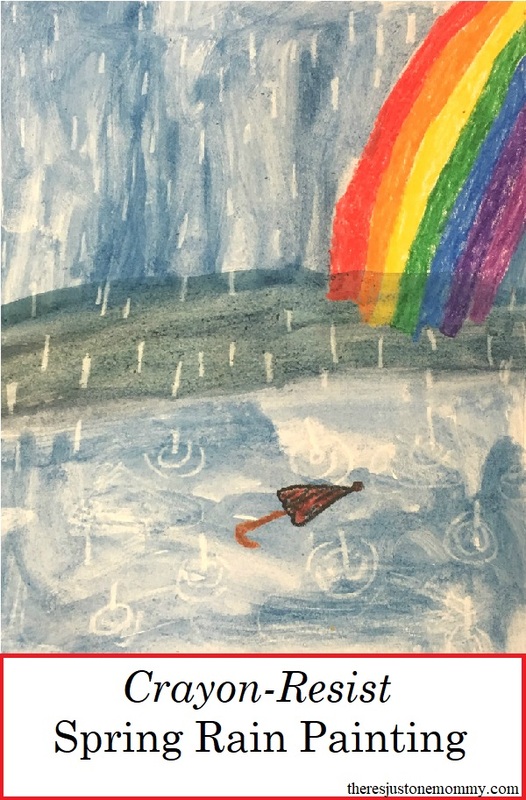 If you draw an umbrella you may want to avoid drawing raindrops underneath it. It can be difficult to see white crayon as you draw. We discovered that if you look at your picture from an angle you can see the raindrops. The next step is optional. Rub a damp craft sponge across your page. This will help the paint spread and blend easier. Then use your water color paints to cover the paper in shades of blue. The raindrops will magically appear! You can use store bought water color paints, or try using your own homemade liquid watercolors. If you use liquid water colors (like we did) I suggest skipping the step of dampening your paper as the extra water will cause the paint to lose some of its vibrancy. 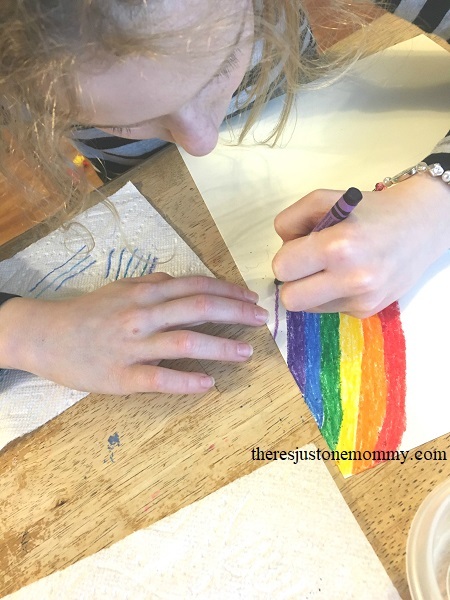 This April Showers craft using crayon resist painting is fun to do on a rainy day. 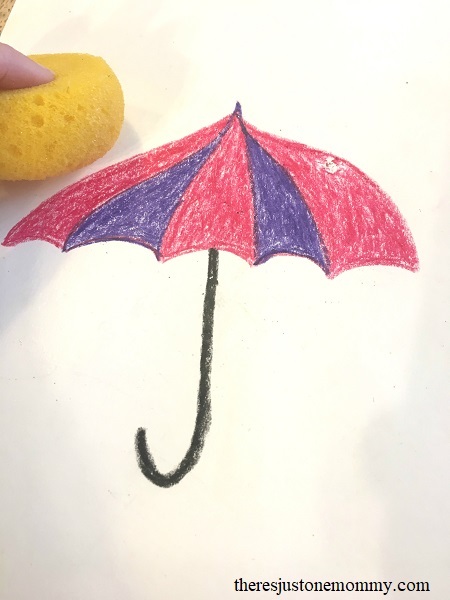 Your kids will love how the brightly colored crayon drawing seems to “pop” against the rainy background.